Peter Straub Tananarive Due is a writer with something to say to everyone, and The Good House is her most eloquent, impassioned, thrilling book yet. This is the work of a great storyteller who has come fully into the center of her magnificent talent. Graham Joyce Author of The Facts of Life A subtle tale of terror. Tananarive Due is a powerful storyteller with a rich social agenda. Valerie Wilson Wesley Author of the Tamara Hayle mysteries When it comes to suspense, Tananarive Due has no equal. 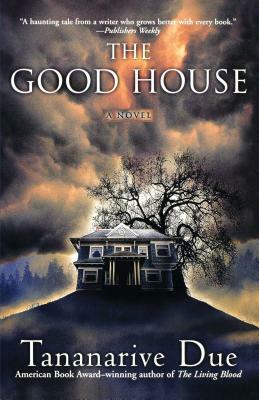 The Good House is as packed with thrills as it is well-written...another winner! John Ridley Author of A Conversation with the Mann Long one of the reigning icons of suspense, with The Good House Tananarive completes the near impossible: she outdoes even herself. [She] delivers a novel that is as haunting as it is humanistic. Long time fans can look forward to a welcome return. New readers are in for a great beginning. Nalo Hopkinson Author of Midnight Robber Shiveringly good. Due has an unflinching way with the terrors that can beset the nuclear family, and with the love and honesty, can heal it.